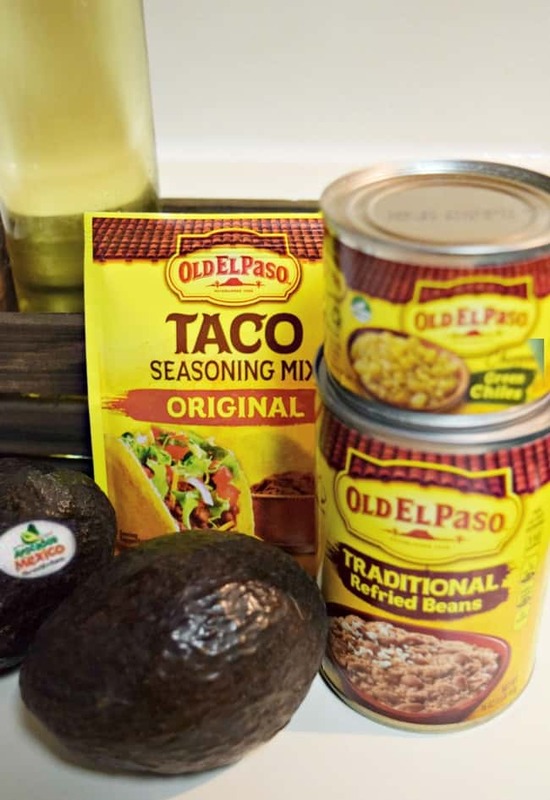 Today I am partnering with Old El Paso and Avacados from Mexico to bring you this easy 7 layer dip recipe. This specific recipe is the mini dips version but if you have a large crowd for game night then you can definitely turn it into a one dish recipe. In small bowl, mix the refried beans and 2 tablespoons taco seasoning mix. Divide among the cups! 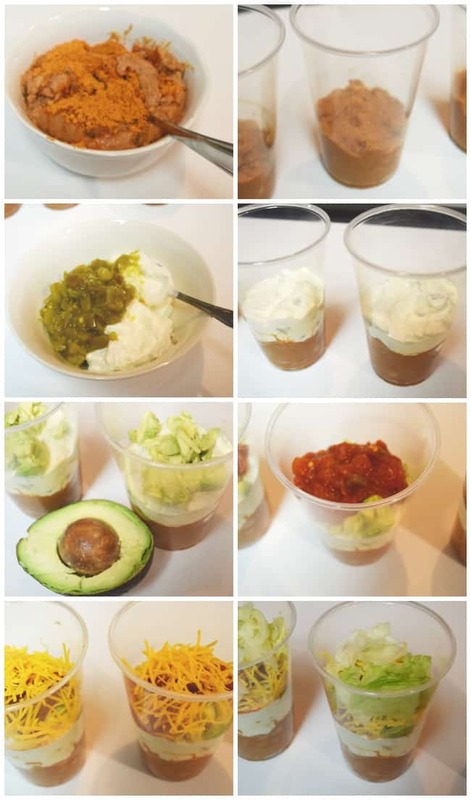 Mix sour cream and green chiles; divide evenly among cups. 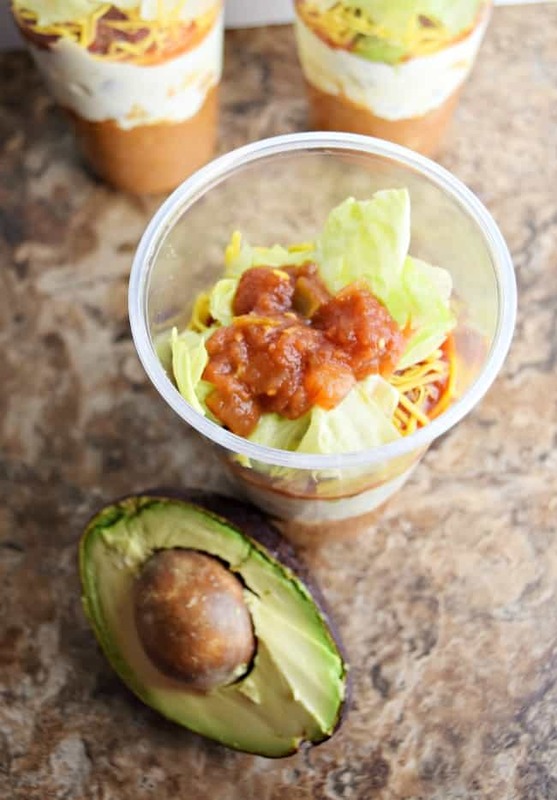 Top each with about 2 tablespoons each guacamole and salsa, approximately 1 tablespoon each cheese and lettuce, and a few olive slices. As you can see in the picture above we didn’t add olives because most of us are not a huge fan of olives and that is the beauty of this recipe. You can take away what you aren’t big on and add more of what you really love. 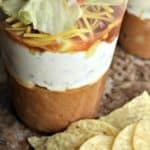 This is by far the best 7 layer dip recipe that I have found and you can find this recipe and more like it over on the Ready Plan Save game day page as well as some awesome coupons to save on Ole El Paso products. 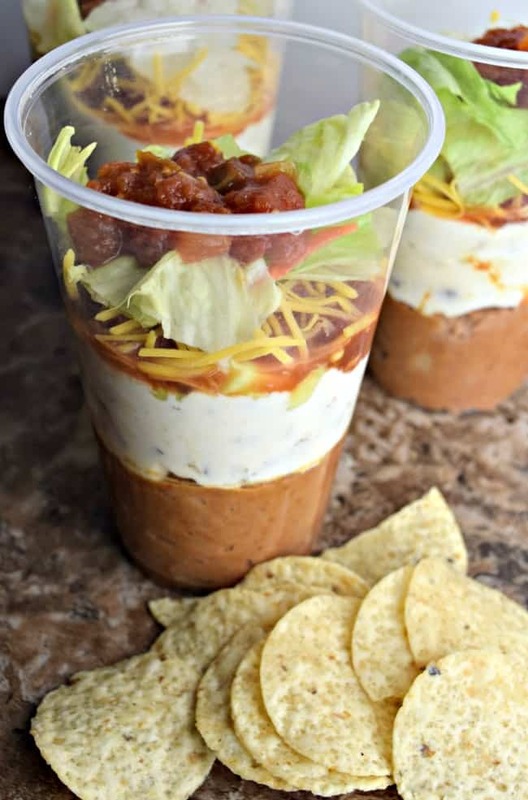 Plus even more chance to save by entering my $10 paypal giveaway so that you can make this easy 7 layer dip recipe for your next game day with the friends and family. Nourishing Possibilities and Dreaming Big Dreams! Must have tools for homeowners! I’d make the Slow-Cooker 3-Ingredient Bean Dip. They have a great variety of recipes available here. 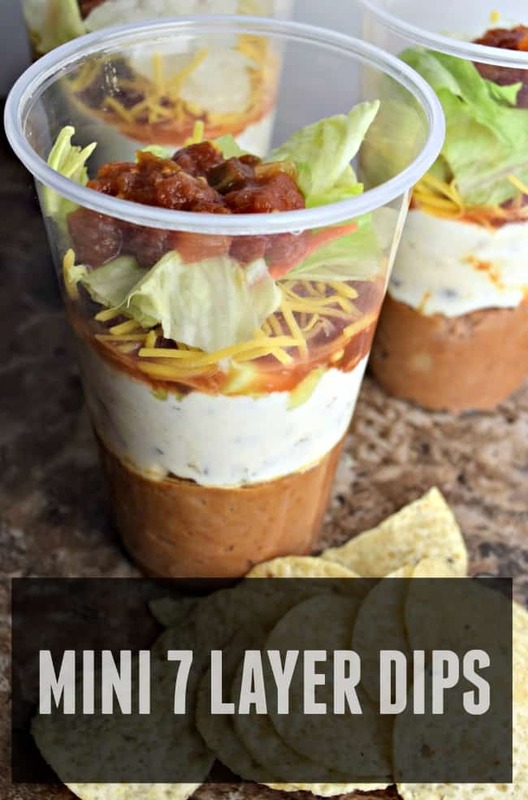 I know my family would enjoy the mini seven layer dips. I would like to make Sriracha Meatball Mini Boats. I would love to make the easy taco queso dip! I would make the grilled steak fajita boats. Oh I would love to make the Slow-Cooker Creamy Chicken and Green Chile Tacos! Oh my family would love those! Perfect in the slow cooker also for football get togethers! Those 7 layer mini dips are also so neat!!! We love Taco’s. The Slow-Cooker Creamy Chicken and Green Chile Tacos sound yummy!